The implementation of the BICI recommendations represents the core of human rights development in Bahrain and the yardstick by which Bahrain is monitored by the outside world. The recommendations were numerous, and it was known from the beginning that implementing them was going to take a reasonable amount of time. Because the report has become a point of reference locally and internationally, Bahrain has made efforts to show its seriousness in implementing these recommendations. It also sought help from countries and international institutions and continued to issue periodic reports on the progress regarding the implementation process. Despite the fact that Bahrain is being scrutinised with regard to the implementation of this unique report, some opposition sources still insist that nothing has changed. The West, international human rights organizations, UN bodies and Bassiouni himself all admit that Bahrain is serious about implementing these recommendations. This article will review Bahrain’s implementation in regards to two aspects: the re- construction of places of worship, and how well the Ministry of Interior has implemented the recommendation directed at them. But first let us acquaint ourselves with Bassiouni’s opinion on the BICI and its report and what has been implemented so far. 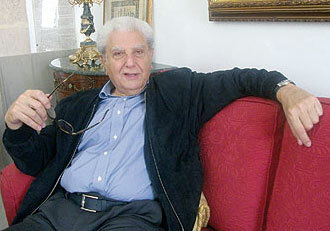 Bassiouni was interviewed by Alsharq Al-Awsat newspaper on 24 March 2013. In this interview Bassiouni stated that the BICI had been a unique venture in the history of international criminal justice. It was an impressive success story and the commission’s report represented a model for the quality of inquiry and adopted procedures. He also believes that the reason behind such success was the support and cooperation extended to the Commission by the Bahraini Government such as allowing it to carry out the investigation freely to the extent that the inquiry team was allowed to visit all prisons and detention canters without prior notice. He stated that ‘all these acts had been freely done and without any control or restriction by the government, which allowed us to perform the duty perfectly’. However, the success of the BICI will be determined by how influential it is in solving the political and human rights crisis. Bassiouni believes that the goal of BICI was restricted to investigating the events that took place in early 2011. He also stated that there should be no confusion between the report’s conclusions and the other actions required by the Government. Bassiouni also stated that ‘The national dialogue is very important to seek solutions to the political problems in Bahrain. It is the ideal option and the only way out of the current situation. Each party should show goodwill and offer appropriate proposals and solutions to resolve the crisis without prerequisites or restrictions that could impede the dialogue’. How does Bassiouni assess the steps taken by the Government to implement the recommendation of his report? According to his initial assessment in January 2012, ‘the government had already begun to take important steps and measures that will seriously help to achieve the recommendation’. Bassiouni also listed some of the recommendations that were implemented by the Government such as, reinstating all students to their schools, returning over 98% of employees to their work and convicting policemen accused of committing excesses and violations. He also praised the Government for prosecuting officers and police me?bers and for holding some officials accountable. Another recommendation that has been implemented is the establishment of an ombudsmen office in the Ministry of the Interior, the establishment of the Office of the General Inspector, the training of officers and prosecutors, the replacement of many security leaders in the ministry and the change in the leadership of the National Security Agency as well as introducing legislative and constitutional amendments. Bassiouni also recommended that the Government should conduct a comprehensive assessment, to determine the extent of the implementation of the recommendations on the ground, and he also recommended that that civil society should participate in this process. He also recommended that when the Government conclude its assessment of the extent of the implementation, it should determine what future steps should be taken to satisfy each recommendation and specify a time limit for the completion of each recommendation. Also, the Government should continue the processes of developing the justice system, and the judiciary as a whole , though what it is undertaking now in the field of training and raising the capabilities of judges is equally necessary and important. • The Building of four mosques have already completed with the coordination with Jafaarite Endowment. • The construction of six other mosques will begin in 2013-2014, as part of Government projects. • The work on the rest of the mosques will be completed in 2015 and 2018. • An independent Ombudsman’s Office was established in the Ministry of Interior. The Office is fully funded and has full control over its budget. Its aim is to receive and record complaints and all detention cases. The Office hired a sufficient number of qualified administrative personnel and trained them. The Ombudsman’s Office also expects to contribute to the enforcement of police professional standards and the carrying out of legal and sensitive training for police officers. The Ombudsman is also working to put in place protocols with other agencies such as the Special Investigations Unit to ensure that all complaints are appropriately examined. • A new Police Code of Conduct was approved and incorporated in training and educational curricula at the Royal Police Academy. The Code was also circulated to all Ministry of Interior departments for implementation. Senior and experienced international police advisers, which include former police heads from the USA and UK, are also now working to ensure delivery of these objectives. • An overarching curriculum in human and victims’ rights for all new recruits and cadets was inaugurated at the Royal Police Academy. Classes with a new human and victims’ rights component include, “Human Rights,” “Managing Conflict,” “Provide Initial Support to Victims, Survivors and Witnesses,” “Interview Victims and Witnesses,” “Arrest and Detain or Report Individuals” and “Interview Suspects.” Additionally, throughout 2012, professional development courses were given to senior command staff, superviso?y personnel, trainers at the Royal Police Academy and non-commissioned officers throughout the Ministry. • Courses on human rights were also delivered (also in Arabic) abroad in co-ordination with the International Institute of Higher Studies in Criminal Sciences (ISISC) in Siracusa, Italy, with the participation of 49 officers. The course was designed by Professor Bassiouni to ensure that the lessons from BICI were incorporated in Bahrain’s training. • Placing greater reliance on science-based investigations and evidence where possible, in place of confessional evidence. This involves the training of investigators on the most up-to-date crime scene management techniques, and it is progressing hand-in-hand with the establishment of a new forensic laboratory staffed by fully trained scientists. The laboratory and training are being developed in conjunction with New Scotland Yard and the National Policing Improvement Agency of the UK. • The Ministry is cognizant of, and sensitive to, the violations listed in the BICI report that fall under its purview. Many of the violations occurred along the arrest-to-jail continuum; from the time the person was arrested up to and including their time spent in jail. Extraordinary efforts have been undertaken to address deficiencies. • Detention facilities have been placed under the constant and effective supervision of the courts and Public Prosecution. Bahraini law provides that the judiciary authority is entitled to visit and inspect prisons, detention centres and jails. • If at any point an interview or interrogation is conducted, it is done so in a designated room outfitted with audio-visual recording equipment. In addition, CCTV cameras are being installed in public areas at police stations and CID as an additional safeguard to ensure that arrest and detention standards and procedures are met.